sweet…..videos should be a minimum requirement. It sux for me, I can’t watch them at work. 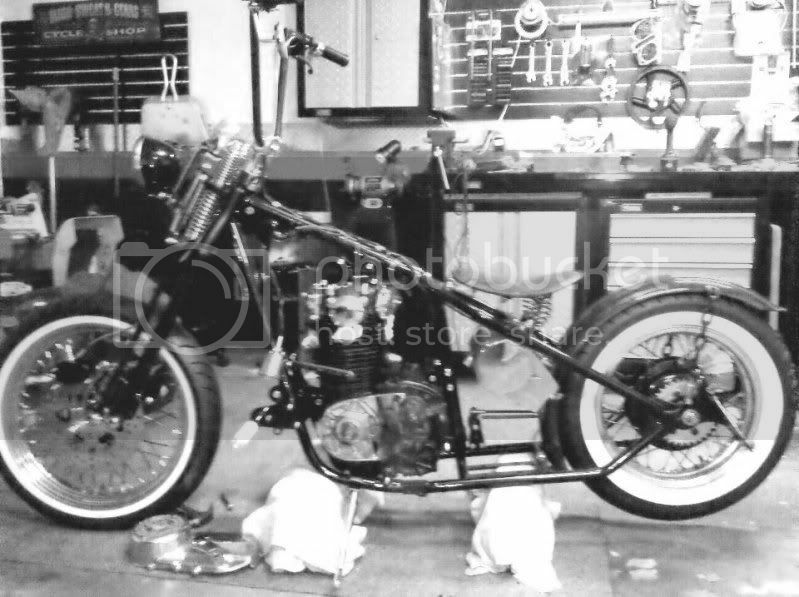 yeah yeah, i know………..
i think i finally get it…kick-starting an XS650 from the wrong side like the big bore Harley dudes used to do before electric start makes the person feel “studly”. I’m with mookie! I stradle the seat when I kick, just as I did with both my sportsters. I don’t get it. If I had electric start I’d use that too! Looks like it goes by the old motto of Keep It Simple Stupid, Kick it, Ride it, Rate it. Sweet! $hit…..we’ve had out share of shock cops…..now we have kicker cops too! He put the bike up here to share the build, not his technique on kicking…..